Nasal obstruction can be caused by a deviated nasal septum, enlarged turbinates, nasal polyps, enlarged adenoids, tumors and nasal congestion. Nasal obstruction encompasses anything which hinders the airflow in and out of the nose affecting one or both nasal passages. Nasal obstruction is usually caused by either swelling of the nasal tissue or an anatomical blockage which results in a narrowing of the nasal cavity and the feeling of the passages being congested. Nasal obstruction and can lead to sleeping disorders, snoring and obstructive sleep apnea (OSA). The otolaryngologists at Fort Worth ENT & Sinus specialize in all treatments for nasal obstruction, which includes at-home treatments, in-office treatments and surgical treatments. No matter what the cause, nasal obstruction/congestion is uncomfortable, and when experienced regularly, can often become a hindrance to your quality of life. 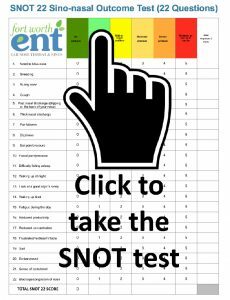 Taking a simple 5 question NOSE (Nasal Obstruction and Septoplasty Effectiveness) test will help in determining how problematic your nasal obstruction is. Sum the answers the patient circles and multiply by 20 to base the scale out of a possible score of 100 for analysis. Not a Problem – 0, Very Mild Problem – 1, Moderate Problem – 2, Fairly Bad Problem -3, Severe Problem – 4. Nasal obstruction or congestion can be a significant contributor to snoring, impaired sleep, and sleep disordered breathing. Nasal based snoring is typically caused by nasal stuffiness or small or collapsing nostrils. The body is designed to breathe through the nose. When nasal breathing is hindered by congestion, the body forces you to begin mouth breathing, which is not the optimal way to pass air into the lungs. Mouth breathing creates a greater amount of negative pressure (vibrating) behind the soft palate and uvula, which, during sleep, can result in snoring. In fact, allergies and nasal congestion are considered to be a main cause of snoring and impaired sleep. Sleeping in the supine (on the back) position can also increase congestion in the nasal passages, making breathing more difficult and increasing snoring. If you experience chronic nasal congestion and disruptive snoring, you may be at risk for obstructive sleep apnea (OSA), a potentially dangerous condition characterized by episodes of cessation or pauses in breathing due to obstruction. Treatments to alleviate nasal congestion can help you breathe easier and enhance your day-to-day enjoyment of everyday activities, as well as your quality of sleep. 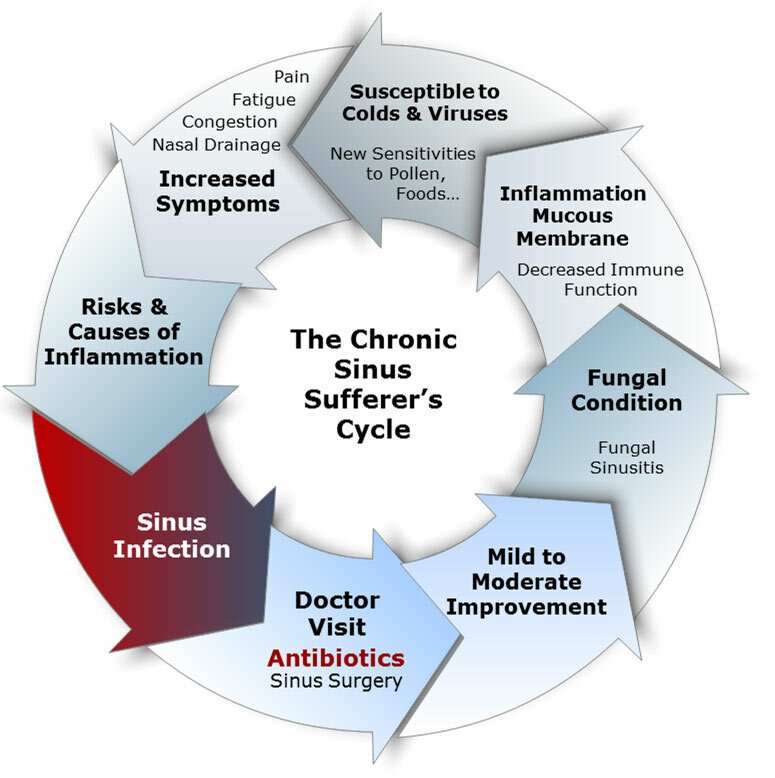 Knowing the cause of your nasal congestion will determine the best treatment for you. Use a humidifier: Moist air helps keep nasal passages open. Blow your nose before going to sleep: Try to keep mucous from building up by keeping the airway as clear as possible prior to bedtime. Use steam to open up nasal airways: A hot shower before bed can reduce symptoms. Breathe the steam in slowly. Drink plenty of water: Liquid helps keep mucous flowing. Do not smoke: Outside irritants can worsen congestion. Sleep on your side or propped up with pillows: Laying on your back can encourage mucous build-up. If nasal obstruction is due to an anatomical problem and conservative treatments are unsuccessful in alleviating symptoms, a surgical treatment may be recommended. If you are experiencing nasal obstruction/congestion or disruptive snoring due to nasal blockage, schedule an appointment with one of our physicians at Fort Worth ENT & Sinus by completing an online appointment request or phone 817-332-8848.